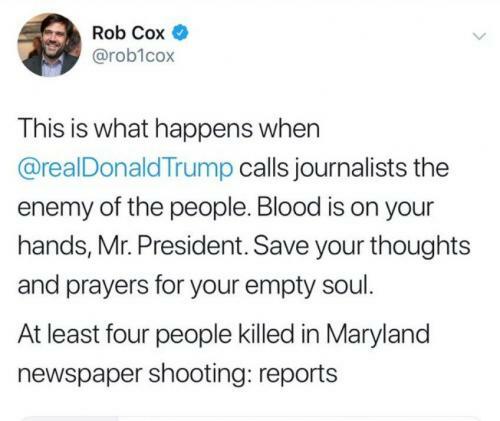 Reuters Global editor Rob Cox has issued a four-part apology for a now-deleted tweet blaming Donald Trump for Thursday’s Annapolis newsroom shooting which left five dead and two wounded. Once it became clear that Ramos’ long-standing feud with The Gazette was the motive, Cox deleted his tweet and apologized. When I saw the news today that a mass shooter had targeted the employees of a newspaper in Maryland I responded emotionally and inappropriately. Though my comments were entirely personal, they were not in keeping with the Reuters Trust Principles and my own standards for letting facts, not snap judgments, guide my understanding. My experience as a member of the community of Newtown, Connecticut in the aftermath of the Sandy Hook tragedy, combined with the possibility that my colleagues in the press were being targeted, pushed me into a state of emotional distress. I am sorry for my comments, which I quickly deleted and have disavowed, and especially remorseful if they did anything to distract from the thoughts and love we must send to the community of Annapolis. As Fox News notes, Reuters touts itself as the “world’s largest international multimedia news provider,” reaching over one billion people on a daily basis. 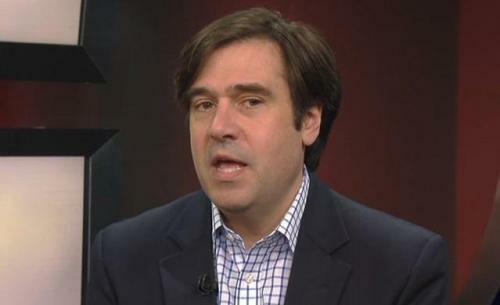 • How does his view of the President affect daily coverage there? • How does this help with public distrust of a biased media? 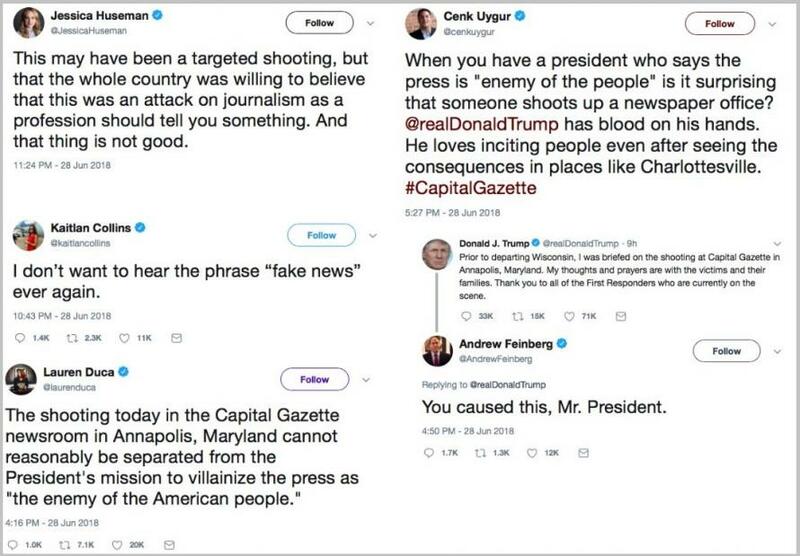 And as The Federalist’s Mollie Hemmingway notes: “Various journalists and other members of the resistance began tweeting that President Donald Trump had “blood on his hands” since he has harshly and regularly condemned “fake news” and its purveyors. Here are some more “blue checks” of Journalism weighing in via The Federalist. Seems like they’d have fit right in working for Comey’s FBI. Who knows, maybe some of them were!